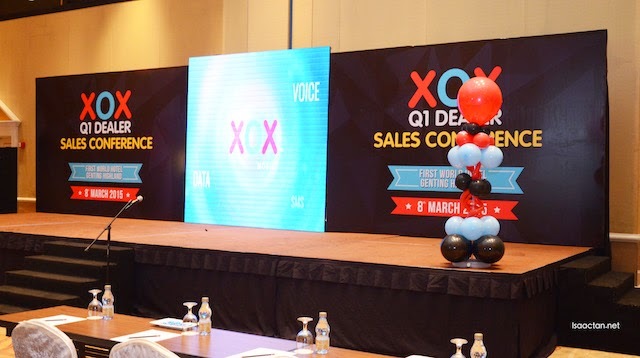 Just last weekend, I was up at Genting Highlands Convention Centre to attend the XOX Malaysia Q1 Dealer Sales Conference. 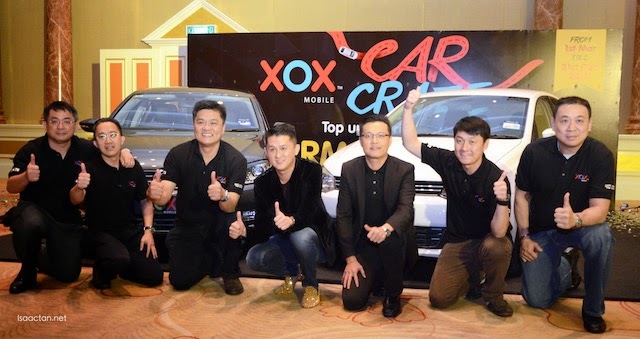 The event also doubles up as the launch of the latest XOX Car Craze Campaign with Volkswagen cars and 100 consolation prizes up for grabs! What is it all about? Read on then. Arriving at the venue after a short drive up Genting together with fellow bloggers Kelly and Ruby, we were pretty excited to find out what XOX Malaysia has to offer. From what we had gathered, there will be a launch of sorts, with great prizes up for grabs. 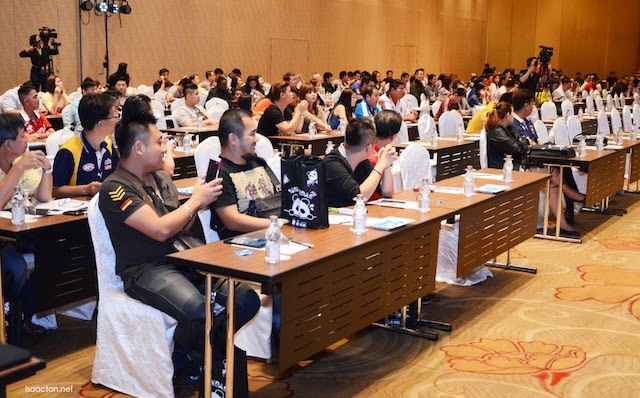 More than 300 XOX dealers and key distributors from all over Malaysia attended the sales conference, filling up the whole hall. What's hidden behind the cloth? The anticipation grew the moment we entered the hall, with 2 cars covered in black cloth lined up at the front. 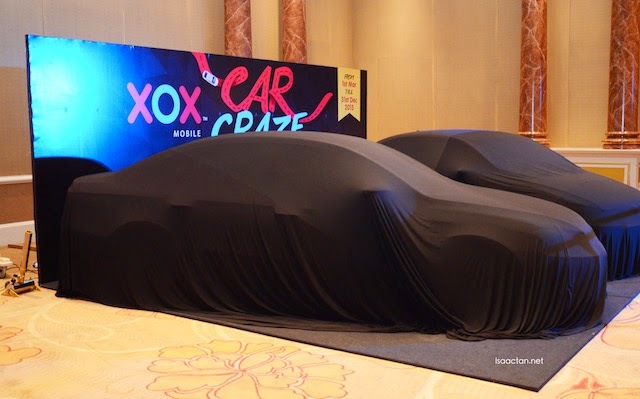 It wasn't until much later into the sales conference that the XOX Malaysia Car Craze Campaign was launched, hence we just had to sit out our curiosity. 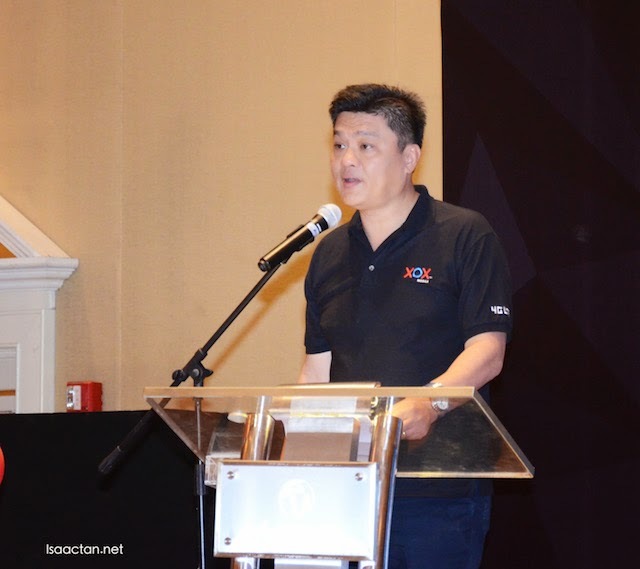 According to Mr. Ng Kok Heng, Group CEO of XOX Mobile the significant growth rate of 120% in term of new subscribers and the Recharge Revenue average growth is 12% on month to month basis. 2014 was a good year for XOX Mobile and there will be many more activities to boost XOX branding. 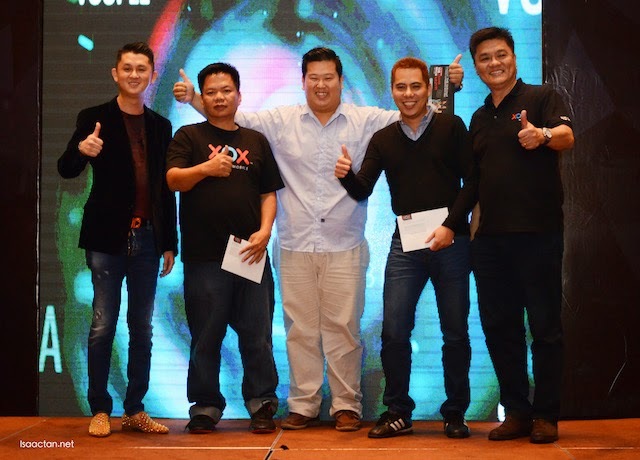 XOX has been listed as Malaysia Top 100 Brands in year 2013 & chosen as the 2013 “SME Blue Chip Award – MVNO” Winner at BrandLaureate SMEs Best Brands Award 2013 as well as “Emerging Telco of The Year” from ASEAN Outstanding Business Award 2014. It was indeed a fun sales conference! XOX Mobile is the only Telco offering short call service at 5sen/10sec; lowest call rate in prepaid only 15sen/min with any top up. That's just the tip of the iceberg, and as I learnt more about XOX, the more I'm awe-struck by its benefits. Some of XOX deals and new products are really cool and value for money. 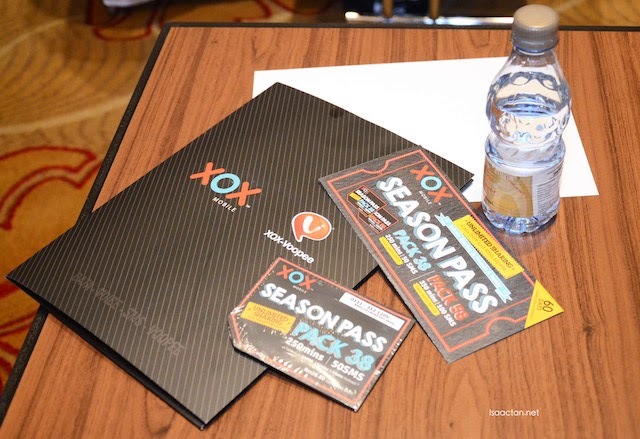 For example the XOX Season Pass Pack RM38 / RM58 the combination of voice, minutes and data in one sim card with unlimited sharing with friends and family plus calls from just as low as RM0.10/min. The two cars were finally unveiled! 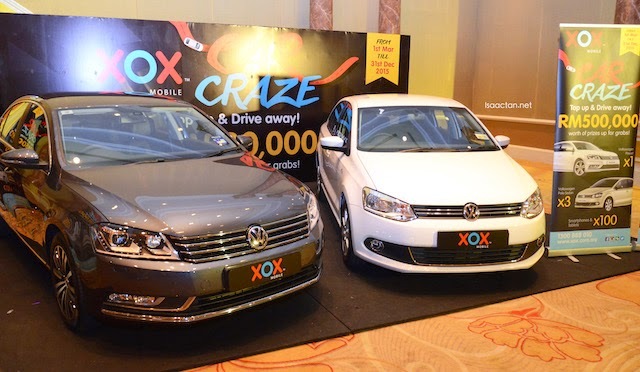 There we have a Volkswagen Passat and Volkswagen Polo which is part of the prizes to be given out for the XOX Malaysia Car Craze campaign. The contest will run from March 2015 until December 2015 with 1 Volkswagen Passat, 3 Volkswagen Polo Sedan and 100 Tech Gadgets to be won! 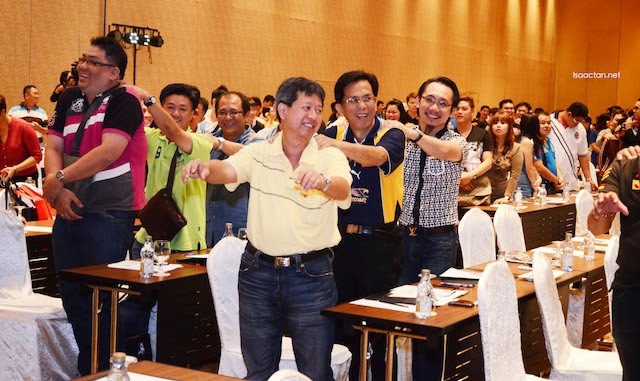 From left: Mark Ling, Senior Vice President; Peter Lim, General Manager, Ng Kok Heng, Group CEO; Datuk Eddie Chai, Group Managing Director; Loh Boon Teong, Vice President; Jack Yeo, Assistant Vice President; Tan Tai Liang, Assistant Vice President. 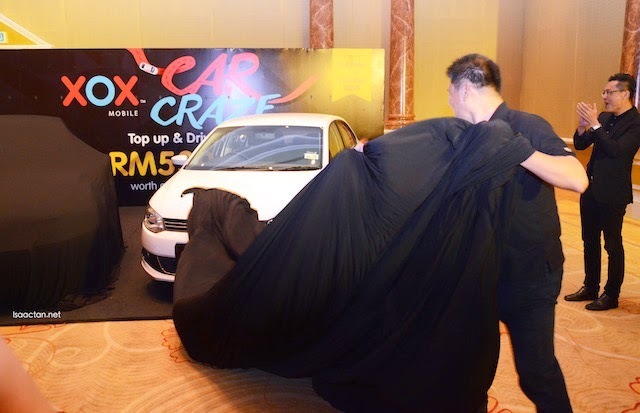 When you top up XOX you get 1 ticket with minimum accumulation of RM50 Top Up within any month of during the XOX Car Craze campaign from Mac - Dec 2015 (round down RM50 for any month). There you go, XOX Car Craze , you know you want to join it! Where else can you find any telco run contests offering Volkswagen cars as their prizes? Surprise Reward up to RM5,000 cash prize to be given out every week. Data Promo of 1.5GB at only RM29.90. Weekend Bonanza whereby you stand a change to get free call / data during weekend. 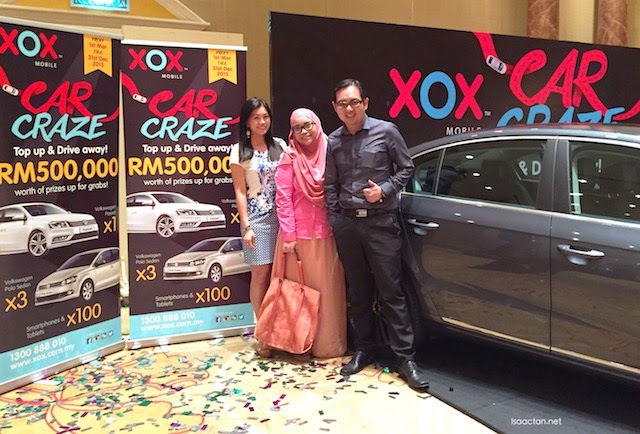 For more information on XOX Mobile and their XOX Malaysia Car Craze Campaign can be found at their website linked at www.xox.com.my, or check out their Facebook page at www.facebook.com/xoxmalaysia !